I used yogurt made with grass-fed milk, grass-fed butter, and pasture eggs for this recipe. This recipe looks amazing! I’ve just started experimenting with frozen yogurt and ice cream with my new ice cream maker. I think my husband will love this one 😉 Thanks so much! 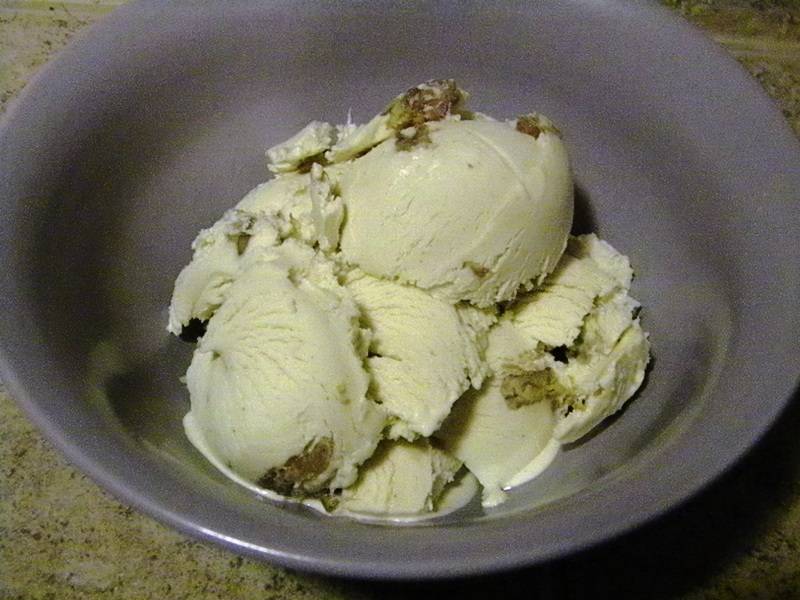 Do you just stir in the rest of the butter pecan mixture before putting in the ice cream machine? Hi Susannah – on step 7 I mean to stir in the 1 tsp of butter (the 2 tbsp is already used) and the entire pecan mixture. Oh… Stir in 1 tsp butter plus the pecan mixture… I get it, thanks. Does it really need to be chilled for two hours prior to putting in the machine? Since it was heated up, it’s best to get it very cold before making the ice cream. At least two hours is what I usually do and what I see in other recipes. 2 cups yogurt made with one part whipping cream and one part half and half. Guess I don’t understand. What’s the mixture? It’s not a mixture in the end. When I want to make frozen yogurt I make my SCD yogurt with equal parts whipping cream and equal parts half & half. How much fro-yo does this make? This made about a pint I think.